We can load or unload from either the side or rear of the trailer. Your truck or ours… We offer delivery service on flat bed (with side kits) or box vans within a 200 mile radius. 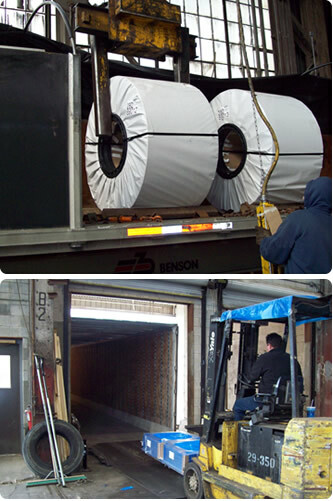 Using our equipment and drivers can help expedite you deliveries.